← Where’s The Beef ? I stopped at Mickey D’s in Inverness Tue morning prior to fishing a monthly club tournament & saw some other anglers & met Ray Sutherland. Just making small talk when I asked Ray if he was registered for Trophy Catch? Nope…. I said you need to because you could win ca$h & prizes…. and even a boat. That got his interest. Later at weigh-in tournament director Bill Geans says “Hollywood (nickname he gave me) you better get your camera! The old saying that “a picture is worth a thousand words” …. you see what I mean. WTG Ray Sutherland! This is a definite Trophy Catch Qualifier! 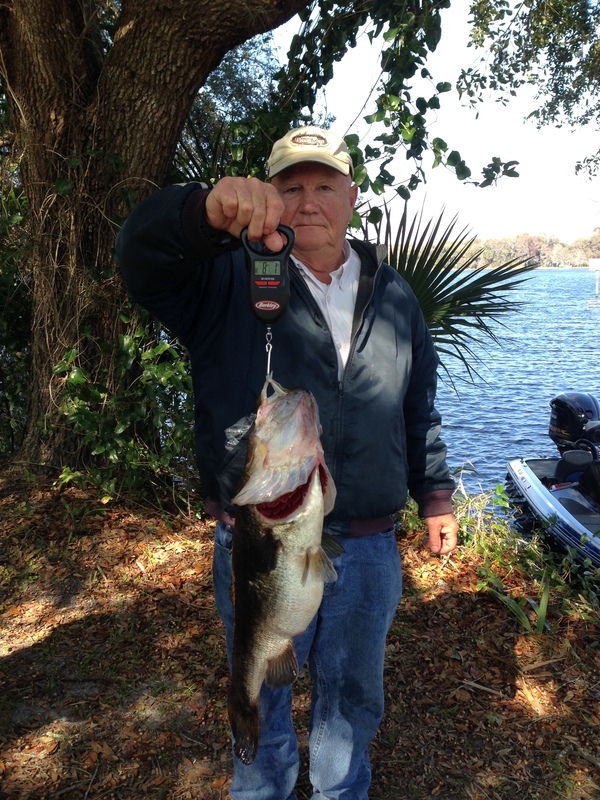 4 days prior on Tsala Apopka, angler Phil McNeal, shows a nice 5.13 lber…. As the way it turns out, prefishing may show you a giant but the day of reckoning may prove something else. Nice fish Mr McNeal. You must have had a good guide!! In fact…. never mind. 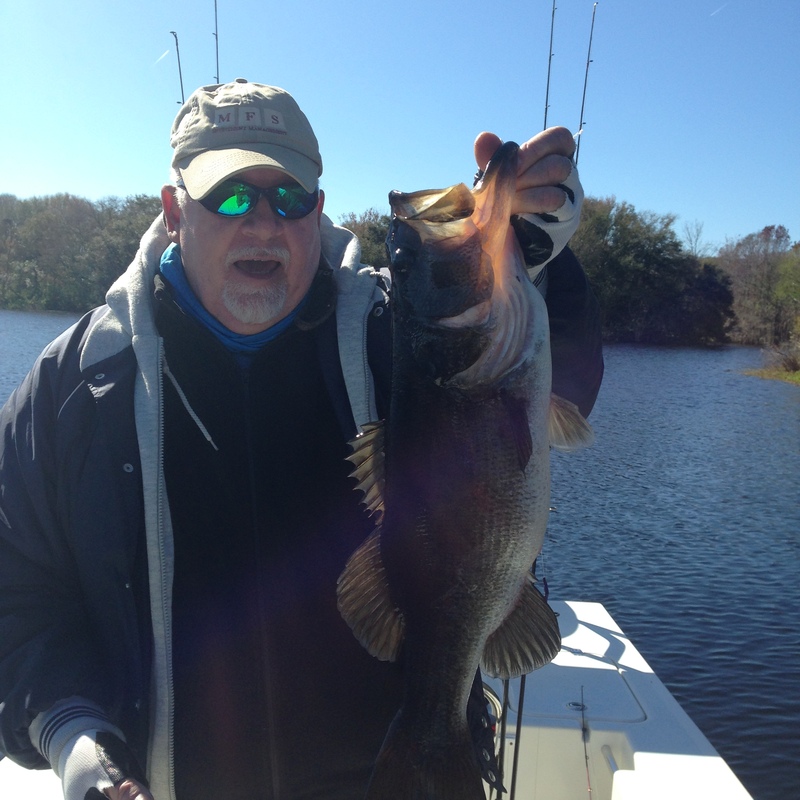 Central Florida Christian Bass Club had a tournament on Panasoffkee Jan 31st with the following results: 21 Anglers…. 30 fish caught…. total weight 60.97…. 1st place John Casteel 5 bass 17.05…. Big Bass Rick Morris 4.91…. I just had to throw this in…. Neil Kelly weighed in a behemoth .81 lbs…. hey when points matter you weigh em all. Gotta change from shorts & flip flops to long pants, shoes, socks, sweat band & fire up the mower. Awh the hell with it. HONEY I’M GOING FISHIN! Hugs & Kisses sport fans.